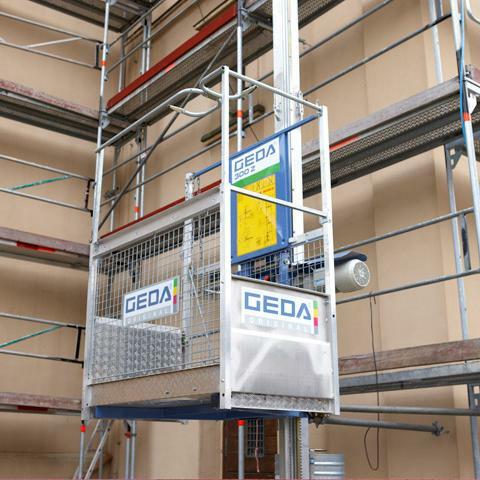 Reputable global supplier of rack & pinion hoists, transport platforms and construction elevators, GEDA USA is proud to announce the MH660 Material Hoist. 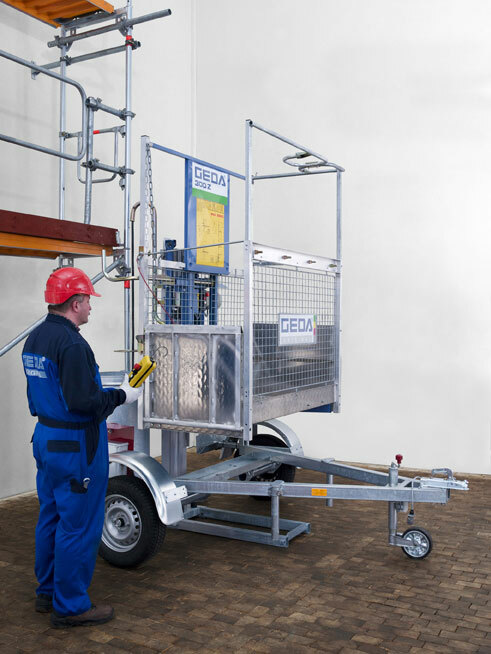 Ideal for scaffolders, tradesmen and construction crews at temporary installations, this innovative material hoist has a load capacity of 660 lbs and a lifting speed of 65 ft/min. The MH 660 is easy to maintain, assemble and service due to its construction from lightweight 6’ 7” aluminum mast segments. 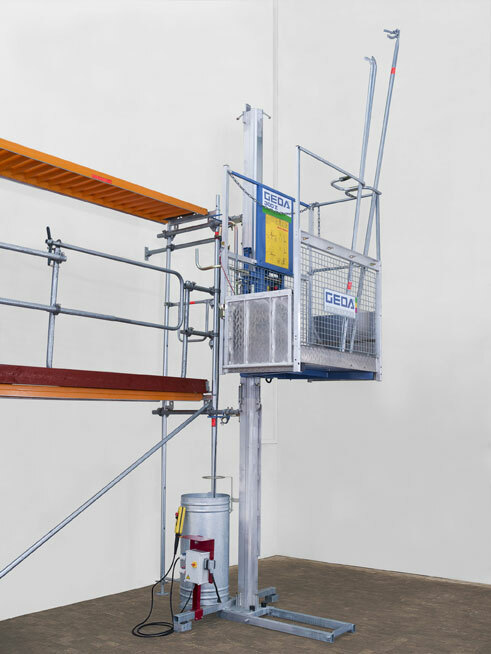 In addition, the MH660 Material Hoist is equipped with a spacious load platform that accommodates a variety of construction materials and other bulky cargo, so it can double as a permanent installation in some environments. 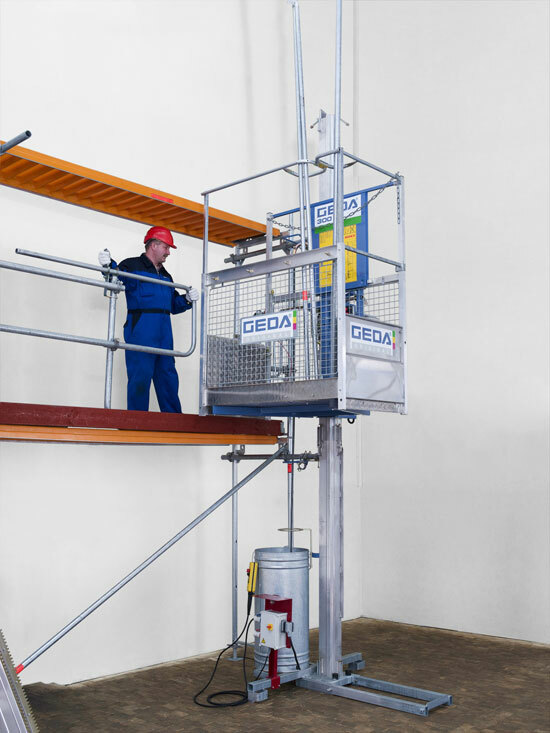 Equipped to perform in a variety of industries, GEDA material hoists come with industry-best warranties and full-service technical support. Each product can be configured to suit your unique project requirements, and comes with a range of affordable accessories. 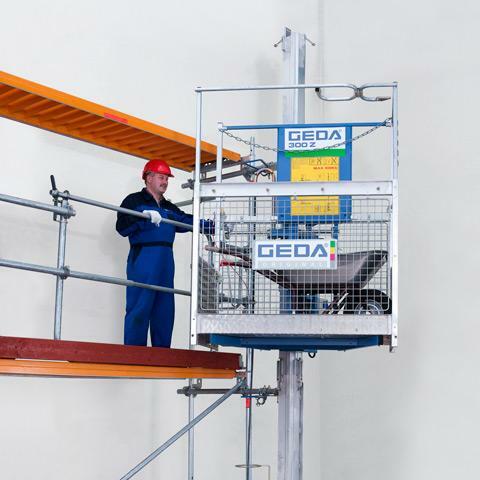 Call the GEDA team today to inquire about hoist pricing or request a project quote.